Over the past few years death metal has witnessed rabid insurgence. While most have fulfilled the needs of the desperate old school death metal fans by taking elements of the overlords of the death metal genre and rehashed them in an innovative way, some have at this junction of time decided to push the boundaries of this genre. Bands like Necrovation infused elements of rock in death metal without disastrous results, Karanrium infused elements of ritual ambient into its music, Antediluvian and Mitochondrion took chaotic brutality to its extremes and Dead Congregation crushing atmosphere would have made forefathers of the genre proud. Sacriphyx too are one of those bands who instead of sticking to a tried and tested formula have attempted to push the genres of death metal. 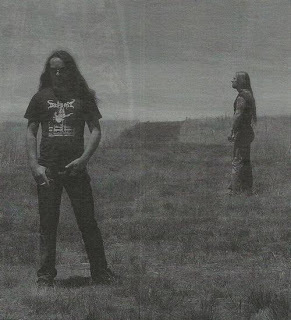 Sacriphyx are a duo from Australia who has been around for a while. Having formed back in 2007 they have released a demo, a few splits and a compilation. Now, finally in 2013 the band has released their debut album entitled ‘The Western Front’ in association with record label Nuclear War Now! who have worked with respected death metal bands like Dead Congregation, Anatomia and more recently Wrathprayer. Sacriphyx are at their crux a death metal band, but as stated earlier they are not a band that plays traditional death metal. Their idiosyncratic form of death metal focuses a substantially on mid paced riffs and creating an atmosphere which was the defining trait of the early Hellenic black metal scene a la Rotting Christ, Zemial and Varathron , while at the same time bearing a semblance of traditional heavy metal. 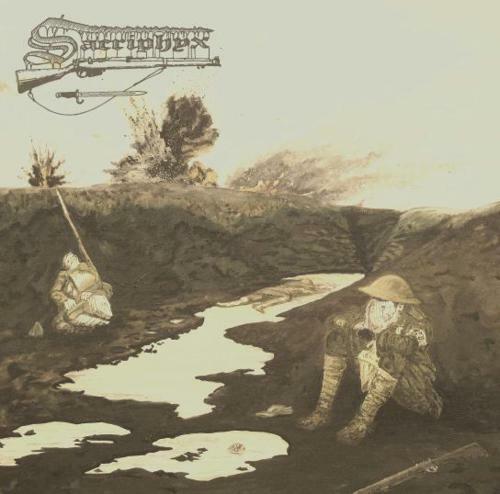 The concept of Sacriphyx is about Australians at war. Now war themes and metal have had a long and lasting history, but Sacriphyx’s take on war and metal is different one. While most bands focus and the glory, epic battles and violent aggression of war, this band looks at war from points which are often ignored. The band looks at the labyrinthine dynamics of war at an emotional level and captures the feeling of despair, dogged determination, forlornness, frustration, honor, valor and pride within their music and has the uncanny ability to deliver these emotions upon the listener with an extremely powerful and well thought of sonic assault that lasts 38 minutes and stretches over 8 tracks. 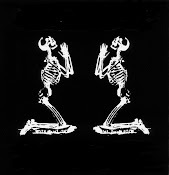 As compared to the previous output by the band ‘The Western Front’ has ingrained within itself, elements of Greek black metal far more than the band has ever done before as is apparent on tracks like ‘Fatal Fromelles’ and ‘Wells Of Beersheeba’. Apart from this the incorporation of long, flowing melodic solos on almost each track add an emotive aesthetic to the album and has contributed highly to the sound and stirring imagery that the band aimed to fabricate with its unique perspective. While the riff progressions do at times seem to be influenced by a certain Arghoslent, Sacriphyx has taken the idea incorporated by Arghoslent and transformed it into a more varied, effective and successful output and in the process may have created a fountain of influences for other bands to sip from. For those who have been following this band or have heard their previous output you will know that the band has this uncanny knack of creating very well constructed lengthy songs and on this is apparent on this release as well where the 2 lengthiest tracks, ‘Fatal Fromelles’ and ‘Without a Trace’ are indeed the 2 best tracks here. While the latter is slower in tempo it succeeds in creating an atmosphere, because, after all the slower tracks do create more of an atmosphere in comparison to the ultra high speed ones. Almost a ballad in nature, ’Without a Trace’ may be my favorite track on the record with its death metal growls, black metal riffing and heavy metal soloing, aspects the band strives to stand for. While the solos deserve special mention the band has the ability to create highly catchy riffs that are simple, but effective in nature. Riffs like those on ‘Buried behind the lines’ and ‘Food for the Front’ are some of the best the band have come up with. 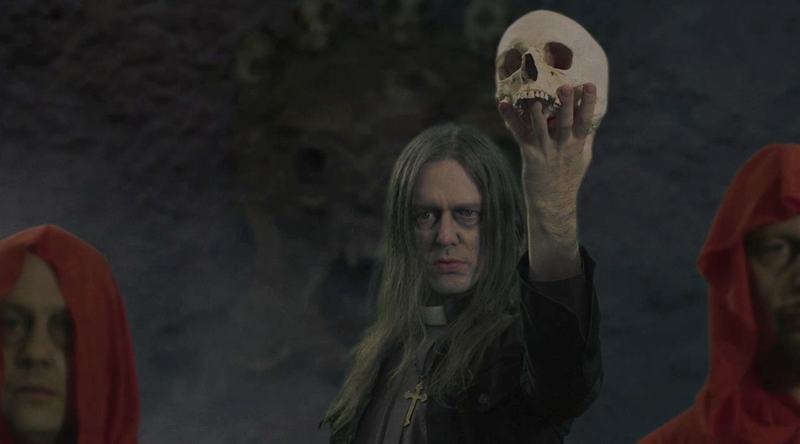 The second half of the album is more up-tempo in sound and thus more traditional death metal in nature with the track ‘The Crawling Horror’ sounding like something out of the manual of later Bolt Thrower. However much you praise the bands guitar work or militaristic drums or atmosphere (which isn't a surprise considering the band members have been part of great Australian doom acts like Murkrat and Misery's Omen) and performance, when you get to the core of the matter, it is the bands’ superior song writing skills that enable the band the jump from a merciless death metal onslaught to a melodic and emotive section with such seamless agility because of which Sacriphyx have thrust upon the extreme metal fraternity a very well paced release which flows with effortless fluidity. What ‘The Western Front is, is not just a collection of war themed and impassioned songs. This means much more to the band. It is a history lesson of the wars Australia has had to fight that the Sacriphyx wishes to narrate to its listeners through its output as can be seen in the intro self titled track that has sounds of gunfire that acts as a precursor of what is to follow or the track ‘Damn Passchendaele Ridge’ which is an acoustic track and what seems to be an audio log of a soldier who is frustrated out of his senses. To my knowledge there are currently no bands that are playing in the territory this band currently is and honestly, I am surprised that they haven’t gotten more attention than they have considering bands like Arghoslent did and so did Deathevokation with its take on melodic mid paced death metal. Come what may, keep this album in mind. 2 months into this year, this release is my favorite debut by a death metal band in 2013 and is certainly top 10, if not top 5 stuff.